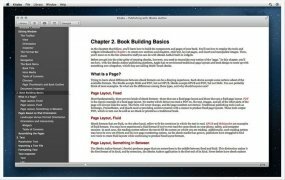 Use your Mac computer to read eBooks in ePub format. 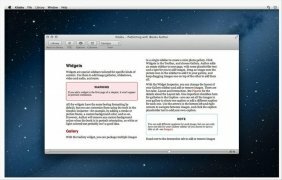 Kitabu is a desktop reader compatible with this format, which will allow you to start or continue reading your eBooks on your desktop computer. 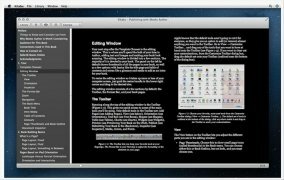 You only need to drag and drop the files on the program's interface. View your book collection using two different modes. Shows the table of contents of each book. View the books on one, two or three different panels. Choose the text's font type and color between black, white and sepia. Play both video and audio. 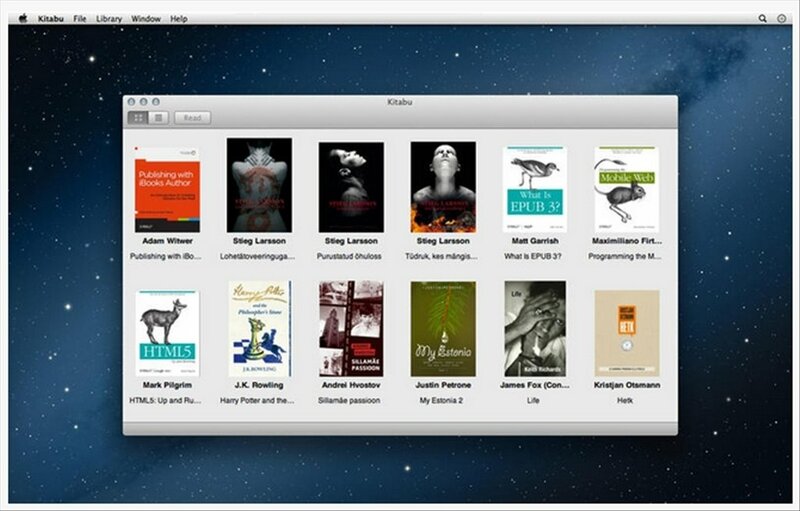 QuickLook plug-in to preview the metadata of the books from the Finder. 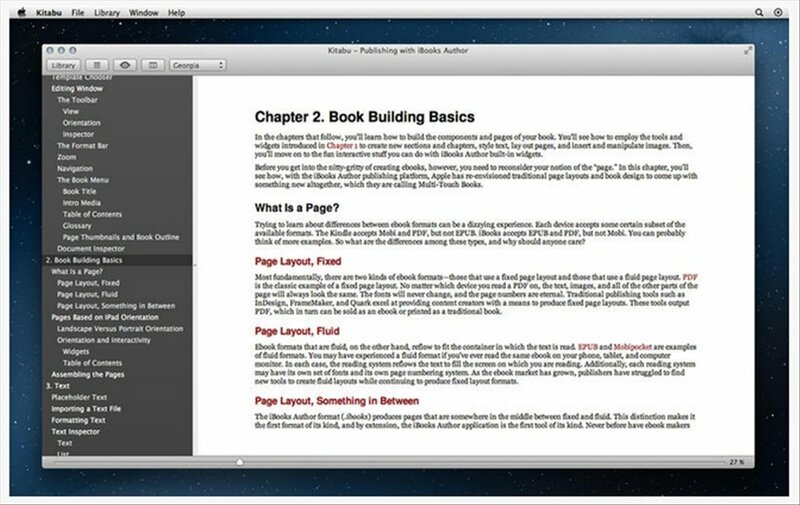 Enjoy your books on your Mac computer by downloading Kitabu free of charge and plunge into the eBook reading world without requiring a portable reader, but making the most of the advantages provided by the ePub format. 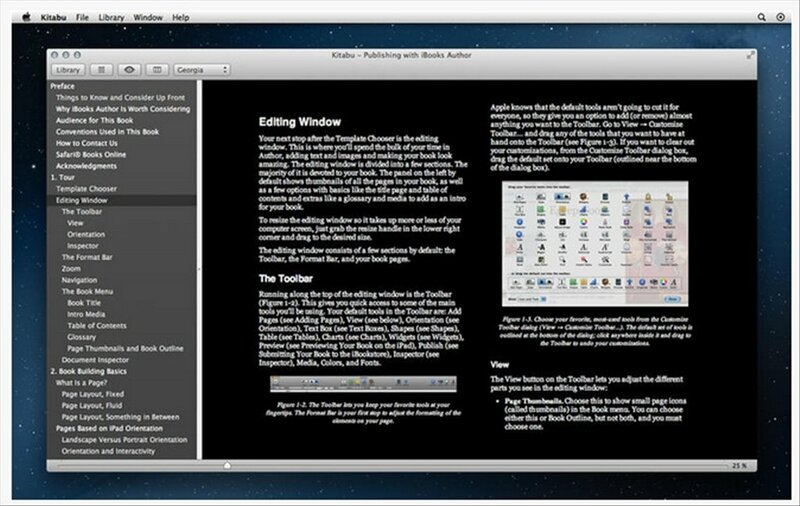 Requires Mac OS X 10.9 or above. Requires a computer with a 64-bit processor.